On the other hand- temperatures in the 30's (F), or around 3-6 degrees C makes really nice sewing weather, since it's not warm enough to do any gardening (and the grass is still not green). 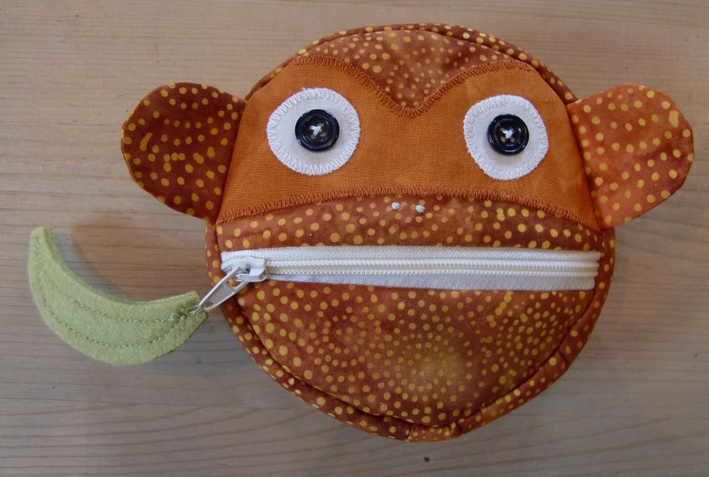 This little monkey coin purse is finished- complete with a green banana zipper pull. Maybe I'll even get more finishes if this weather stays much longer. 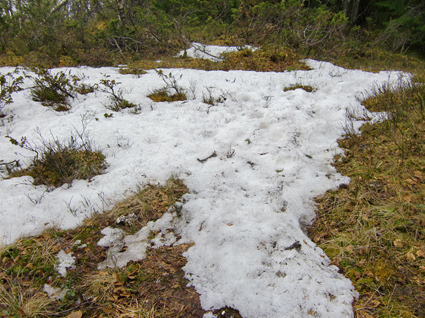 No snow, but cool enough here to have the heat on yesterday and again today. Crazy June! The coin purse is fab! So so cute! That is a great little monkey! I just wonder if I can find some short zippers around here. I need to update my zipper stash.